Does the disposal of research and development (R&D) results provision in section 355-410 of the Income Tax Assessment Act 1997 (ITAA 1997) include amounts from the licensing of intellectual property (IP) payable in the future, subject to achieving future development and sales milestones? Yes. The disposal of R&D results provision in section 355-410 of the ITAA 1997 includes amounts from the licensing of IP payable in the future. These include future payments that are referrable to future development of the IP and upon achieving specified sales targets once the IP is fully developed. The taxpayer is an R&D entity within the meaning of section 355-35 of the ITAA 1997. The taxpayer undertakes a new R&D project to develop a particular product, incurs R&D expenditure and claims the tax offset under section 355-100 of the ITAA 1997. The taxpayer is the legal and economic owner of the IP related to the product. In order to manufacture and commercialise the product, further R&D and testing is required. To facilitate this, and in accordance with the taxpayer’s business model, the taxpayer licenses the IP relating to the product to an overseas related entity. The overseas related entity is specifically formed to advance the development of the product and ultimately its sale. Under the terms of the licence agreement, the overseas related entity is granted an exclusive right to the product IP and any information, knowledge, patents, techniques, inventions, improvements and/or discoveries related to the product. The agreement also provides the overseas related entity with the exclusive right to develop, manufacture, make, use, import, sell, market, distribute or otherwise commercialise the product globally, for the term of the agreement. Royalties – payable upon the achievement of the net sales targets specified in the licence agreement. Each of the above payments is conditional on meeting certain specified milestones or targets at a future point in time (which may or may not eventuate). Section 355-410 of the ITAA 1997 is an integrity provision which corresponds to the former integrity rules in subsections 73B(27A), 73B(27B) and 73B(27C) of the Income Tax Assessment Act 1936. The role of these provisions is to ensure statutory revenue treatment for amounts received, or entitled to be received, by an R&D entity relating to the results of R&D activities, including amounts from the granting of rights to the results by way of licensing. an amount from disposing a CGT asset, or from granting a right to occupy or use a CGT asset such that another entity acquires a right to access or use any of those results. The Development Milestone Payments are payments the taxpayer is entitled to receive upon the achievement of each milestone and are consideration for the grant of the right to use the R&D results (namely, the IP and any related information, know-how etc. associated with the product) conveyed under the licence agreement. The taxpayer is therefore required to include these payments in its assessable income under section 355-410 of the ITAA 1997 in the income year in which the milestones are achieved by the overseas related entity and the taxpayer becomes entitled to the payments. ATO ID 2004/568 goes on to consider the ordinary dictionary meaning of ‘entitle’, noting that it means ‘to qualify for, to furnish with proper grounds for seeking or claiming’. Consistent with the above interpretation of the term ‘entitled to receive’, the taxpayer, as licensor, becomes entitled to the Development Milestone Payments upon the licensee (overseas related entity) achieving each Development Milestone as specified in the licence agreement. 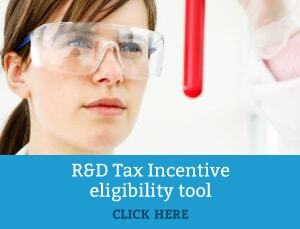 Unlike the Development Milestone Payments, the Sales Milestone Payments do not directly relate to the granting of the licence to access the R&D results (namely, the product IP and any related know-how). They are however payments required to be made by the licensee (overseas related entity) to the licensor (taxpayer) for the continued use of the R&D results, subject to the successful development of these R&D results by the licensee. Accordingly these amounts fall within the scope of section 355-410 of the ITAA 1997 as a ‘results amount’ because they are amounts from the granting of the right to use the R&D results. from the grant of access to, or the right to use, any of those results. The terms ‘for’ and ‘from’ in section 355-410 of the ITAA 1997 are sufficiently broad to encompass payments the licensor is entitled to receive from the continued use of the R&D results by the licensee, consistent with the licensing agreement terms and conditions. The taxpayer is entitled to receive the Sales Milestone Payments upon the achievement of each Sales Milestone by the overseas related entity. Therefore, the taxpayer is required to include in its assessable income, under section 355-410 of the ITAA 1997, the Sales Milestone Payments in the income year in which the overseas related entity achieves each Sales Milestone, consistent with the view in ATO ID 2004/568 discussed earlier. The royalties payable are assessable as R&D ‘results amounts’ under section 355-410 of the ITAA 1997 for the same reasons as the Sales Milestone Payments discussed above. They are payments by the licensee to the licensor for the continued use of the R&D results, irrespective of the capacity in which those results are being used. The royalties will be assessable to the taxpayer under section 355-410 of the ITAA 1997 in the income year in which the taxpayer becomes entitled to receive those payments, in accordance with the view in ATO ID 2004/568 discussed earlier.